Last year’s Moscow visit by filmmakerartist David Lynch, which followed the publication in Russian of his “Catching the Big Fish: Meditation, Consciousness, and Creativity,” sparked a renewed interest in Transcendental Meditation (TM) in the country. 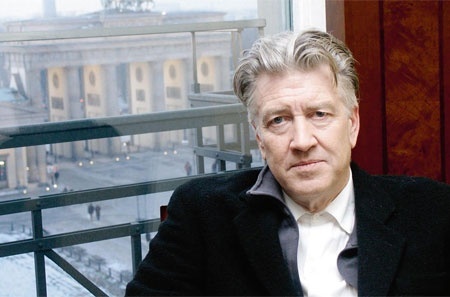 Lynch has been popular in Russia since his Twin Peaks was released on local television at the end of the Soviet era, and his iconic film style and independence seems to have local appeal. 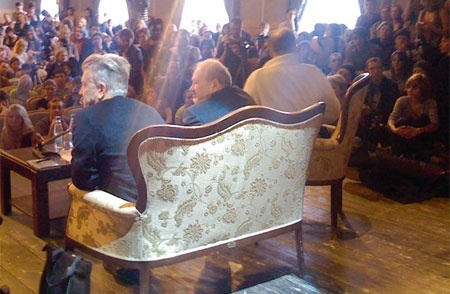 Lynch was enthusiastically welcomed at events related to his book and the work of his David Lynch Foundation for Consciousness-Based Education and World Peace, which were held at the All-Russia State Cinematography Institute and the Moscow Book Store on Tverskaya, where the line stretched toward the Kremlin. Lynch came to Moscow just a day after a New York “Peace Begins Within” benefit concert for the David Lynch Foundation at Radio City Music Hall that featured a number of well-known TM practitioners: Paul Mc- Cartney, Ringo Star, Moby, Donovan, Sheryl Crow, Mike Love, Howard Stern and others. The reaction to Lynch’s Moscow visit was reminiscent of the reception when the first teachers of Transcendental Meditation arrived in the USSR after being invited as part of humanitarian aid in the aftermath of the earthquake that struck Armenia in 1988. This was the first time that the country had accepted international assistance since World War II, and this time not only in the form of physical assistance, but to bring a calming influence to the region. Apparently it was not only the scientific research on “reduced anxiety” or “increased sociability” among TM practitioners that attracted hosts; it was the early results of research on broader social indicators such as “reduced turbulence and violence in society” that were being reported in such journals as Journal of Conflict Resolution or Social Sciences Perspectives Journal. This research showed that even a small percentage of a population practicing Transcendental Meditation (one percent) could significantly reduce negative factors in the larger population. Teams of Transcendental Meditation teachers came to the USSR from many countries, but the largest contingent came from my hometown, the small southeastern Iowa community of Fairfield. Fairfield is home to Maharishi University of Management, named after the university founder, Maharishi Mahesh Yogi, or Maharishi as he was popularly called. It was Maharishi who, beginning in the 1950s brought TM to the west, and the technique has now been taught to millions worldwide. In the two years following the Armenia quake, teams of TM teachers were also invited to other parts of the Soviet Union, Moscow and St. Petersburg of course, but also Kiev, Tallinn, Riga and many other cities that would soon become capitals of independent countries. Thousands, if not tens of thousands, learned the simple, natural TM technique in each city. 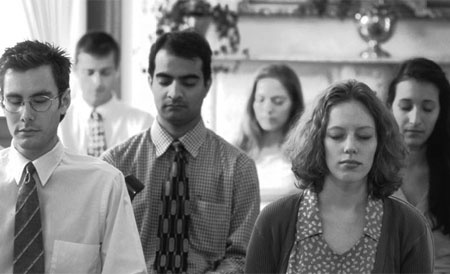 In the New Russia in the years to follow, Maharishi trained Russian TM teachers, and individuals continued to learn to meditate throughout the country. Maharishi organized investments in the region, most recently with organic agriculture initiatives in Ukraine. He inspired an Italian businessman to set up packaged pastry production, and these wholesome products are now very widely sold in Russia under a brand named in Maharishi’s honor. During his life, Maharishi also fully established what is now arguably the most extensive, widely developed preventive health care program in the world. Maharishi Ayurveda offers hundreds of completely natural herbal remedies, cosmetics, body and hair care, teas and other products in almost every country. He developed the modern, fully ISO qualified production facilities that processes, formulates and packages these products, which are extracted from organic and wild-collected herbs and plants. There are now relaxing and luxurious Maharishi Ayurveda spa clinics in a number of locations in Europe, North America and Asia, but the Bad Ems, Germany location has become particularly popular with Russian visitors and has about ten Russian staff members. In Russia, Maharishi set up a training program in the Ural regions to train technicians in the remedies and treatments of Maharishi Ayurveda, and some will staff a Maharishi Ayurveda Spa now being planned for a hotel north of Moscow on the Golden Ring, and a Maharishi Ayurveda Salon in Moscow. Of course, other forms of meditation and yoga have become popular in Russia as well and meditation and yoga resorts in Goa and other Asian countries have become regular destinations for Russian tourists. 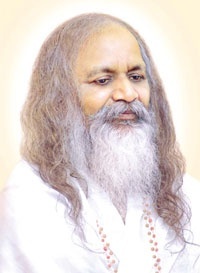 But the interest of many in the specific technique of Transcendental Meditation as taught by Maharishi is due to the large body of independent research that has verified and validated specific results of this meditation, now over 600 studies from more than 120 research institutions. Russia Today and the Good Morning Russia program reported one of the most recent studies, conducted at the Medical College of Wisconsin, which showed 47% fewer heart attacks, strokes, and deaths of those who practiced Transcendental Meditation among a group of more than 200 patients. Maharishi was an outspoken advocate of research on TM, saying that modern science should be able to verify the effectiveness of the TM technique, or any technique for that matter. He has been described as a “Scientist of Consciousness” because of his attempt to remove superstition, religion, and speculation from the realm of study of the subjective. He stated that the subjective world could be described and understood just as the objective universe has been. Maharishi was exasperated that leaders, particularly in the West, continued to think that military force and weapons could bring it about. He followed developments in Russia and often sent emissaries to meet with political or government leaders to offer his consciousness based solutions to global problems. The cornerstone of his solution is to create groups of practitioners of an advanced program, the TM-Sidhi program. Peer-reviewed research published in the 1990s showed that such groups, even as small a number as the square root of one percent of a population (350 for Moscow, 1250 for Russia) could positively influence trends for such factors as accident rates, illnesses and violent crime. An important goal of the Russian TM organization is to create such groups for Moscow and Russia. It is hoped that they can duplicate the efforts of the David Lynch Foundation, which has now taught tens of thousands of students including groups from inner city schools and American Indian reservations in the United States to Catholic schools in Latin America. ‘A single institute in Russia such as that in Fairfield, Iowa, where students learn traditional subjects, and modern topics such as entrepreneurial skills and sustainable development, but on the basis of complete knowledge of consciousness, could help us, as Maharishi would say “change the trends of time,” and create a new, energetic, creative and positive direction for our country,’ stated Dr. Maxim Shatokhin, National Director of the TM programs in Russia. Oh and BTW, David Lynch just returned from India after filming segments for his latest film project, a documentary on the life of Maharishi Mahesh Yogi.